With summer well on its way, time to crank up the barby and get some fresh meat and salad on the way. There’s nothing more useful come this time of year, than to have an easy, crowd-pleasing salad that you can whip up in a flash which is guaranteed to satisfy the masses. This salad is great; the dressing packs a good punch (and is also a fantastic colour), and the kumara (aka sweet potato) provides something more substantial than just your classic green salad. 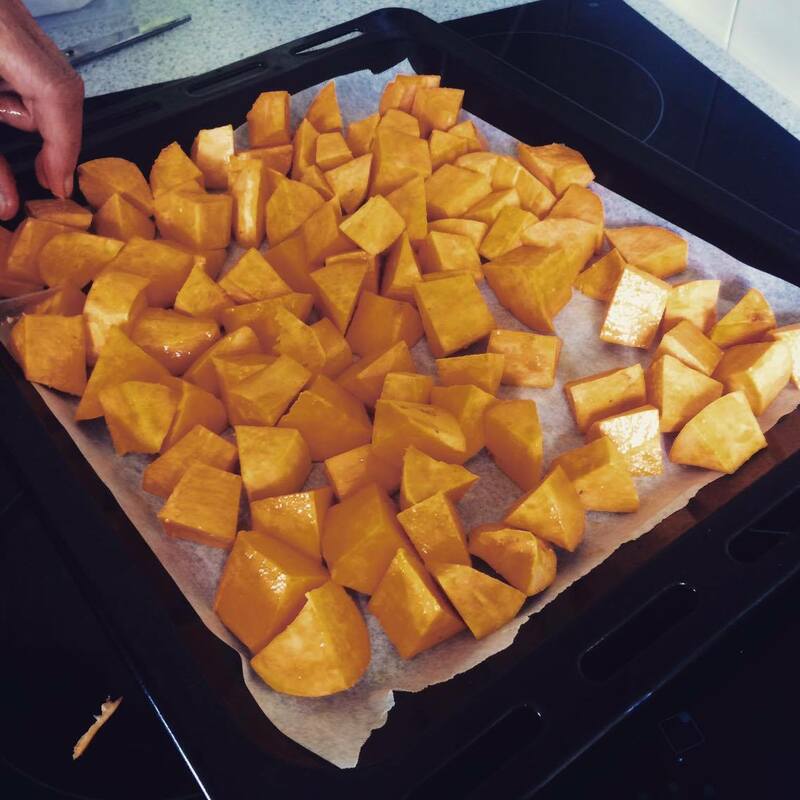 Cut the kumara into large cubes and bake with the olive oil and salt at 180°C until cooked. 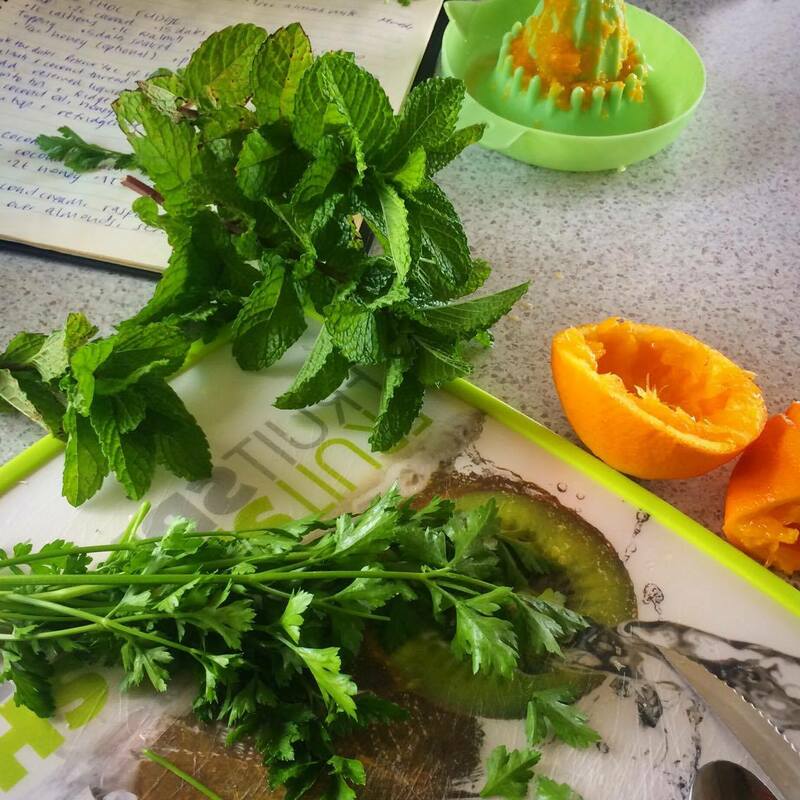 Blend the mint, parsley, garlic, orange juice, honey and EVOO. Pour 1/4 over the kumara and save the rest for later. Add spring onion, sunflower seeds and rocket to the kumara. Top with microgreens, orange zest and pour the rest of the dressing over.